I first became exposed to this band while working on my book. One of the songs here is featured in that tome because of its link to the Lovecraft mythos. The disc hadn't been released by the time I finished up with that work, but it is now seeing its appearance in the world of the music industry. 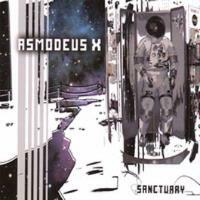 While the overall sound of Asmodeus X is Euro-techno/dance, they aren't content to be limited by that genre. They stretch out with more unusual music that doesn't fit well in those parameters. Sure, there is plenty to keep the dance clubs spinning this, but there are also a lot of other textures here as well. I personally think the song “Darker Shores” is revolutionary, taking sound patterns and using them in unusual ways to create a piece of music. That cut alone is worth the price of admission here, but there is plenty more to like about Sanctuary, too. 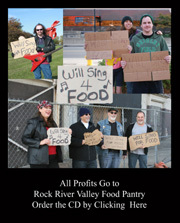 For more information (including how to get the CD) check out the band's website. A killer fast paced techno/dance type number leads off the disc in fine fashion. The vocals are delivered in a very European monotone sort of mode, feeling very mechanical. Dramatic keyboard tones begin this and begin to build up. This one feels quite a bit like something Kraftwerk might have done. Mysterious keyboard sounds are joined by a spoken voice over. This then gives way to more techno music that serves as the order of the day here. This one gets quite powerful at times. Sound effects and loops eventually give way to a techno percussive beat. Keys come in over the top of this as it carries forward. This number really stays in a more sedate, nearly ambient zone. It's a nice change of pace from the fast paced cuts that preceded it. With a fast paced, keyboard only introduction, this one comes into the song proper with a lighthearted, rather bouncy and fun approach. Kraftwerk comes to mind here, too. It turns a bit more hard rocking later. An unusual, funky sort of retro sound leads this off. It almost feels like a techno take on R & B. The vocals here are done in synthesized way, and this is a great groove. It's also another that lends variety to the album. Dark sounds that feel like they could have come from an episode of “Dr. Who” serve as a backdrop for a spoken vocal line. This one could be called “weird.” It could also be called “brilliant!” It's one of my favorites on show here. At just over a minute and a half it's also the shortest track on the CD. More techno dance themes serve this cut well. It is another that also makes me think of Hawkwind at points. Befitting the title, echoey, curved wave forms create the textures here. Synthesized voices create a computer like texture. More typical voices join later, but it also shifts out into extremely tasty weirdness later, too. This isn't so blatantly dance-like, but there are still elements of that sound here. It's another standout. Keyboard sounds somewhere in between harpsichord and piano is the opener here. It moves in a rather dissonant, but sedate style for a time before other instruments join. The effect on this cut is purely amazing with waves of sound and dissonance pushing one another around and away. This lends an otherwordly atmosphere to the piece. While this might call to mind other forms of music, in many ways this thing is a purely original sound. The chorus calls to mind Hawkwind just a little, but you also might spot some Gary Numan-like moments. This is my favorite piece on the CD. A jet flies over head as the sounds of warfare fill the soundscape. Keyboard textures as waves of sound join. So do other effects and voices. This is a dark and unsettling piece of ambiance. It's also another highlight. They bring back the real techno textures for the last piece on the CD. This one ought to have people up and dancing at clubs all over Europe. It's a great way to bring the whole thing home before closing out.